Throughout the past couple weeks, Auburn, Alabama has been abuzz with several things: first, Rodeo, which is a sort of country-esque bacchanal; the crushing papers and portfolios week before the even more crushing finals week; and on April 30th, the premiere of Melissa McCarthy’s latest, Life of the Party. As a student, I was eligible to apply for a pass to see the movie, which I did the moment I heard that Auburn won the nationwide contest to be the university hosting the premiere. 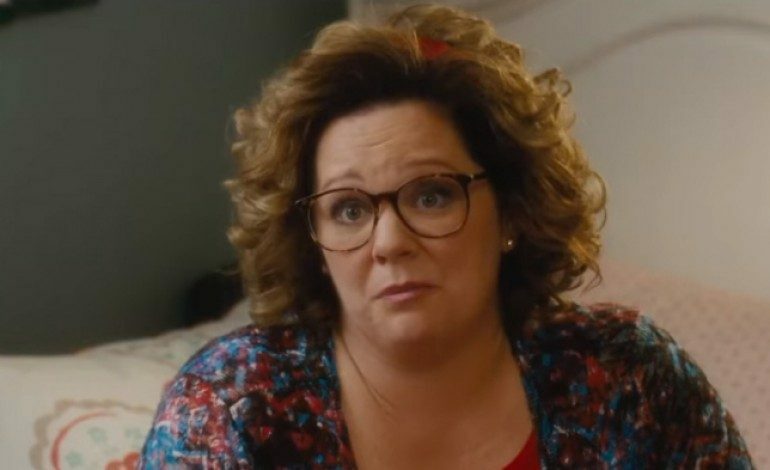 Now, to be fully transparent, I am one of the biggest Melissa McCarthy fans that I know, if not the biggest. I own her entire filmography, excluding The Boss, which will one day join the ranks. My closest friends, too, know her oeuvre if only because I promise to cook them full course meals in return for a McCarthy binge session. Finding out that she would be in the same town I have spent four years at earning my degree was an absolutely wonderful way to start the Monday of my first finals week. Even better, McCarthy and her husband, director and actor Ben Falcone, made sure to give back to Auburn in another way: they gave a total of $25,000 to the Auburn’s performing arts center, an amount which the companies who produced the film donated in turn, leaving Auburn to receive an amazing $50,000 and an all-expenses paid film experience for the students. My experience with the premiere started around 4:00 PM on Monday. Hosted in the connected town of Opelika, the film premiered at an AMC, which was decked out with chairs, lights, and tables for an amazing afterparty as well. I went to the end of the line, which was snaking around the theater, waiting a couple hours to be seated. Luckily, there was plenty of shade, and when the line began moving, it was extremely quick. Moreover, all of the security guards and service personnel were incredibly kind and well-organized, which must have been a difficult feat considering the vast crowd which stretched on further than I could see. Surrounded by college students, many of whom were studying but just couldn’t stay away, I waited in line. Eventually, I reached the area in which tickets were given out for free- always the number one dream for college students. We were given passes letting us know which theater to go to. Sadly, I missed being in the same theater of the cast by about five people. Still, I managed to see a few of the people behind the film, such as director Ben Falcone. He, Gillian Jacobs, and one of the other female stars of the film came into our theater, kindly thanking us for going to their movie, which I thought was an especially great touch. After all, they were giving us free popcorn, free drinks, and a free premiere to a cool film during one of the most stressful parts of the year, and they still made the gesture to let us know that they appreciated us being there. If I wasn’t a fan then, I definitely was won over even more in that moment. I think I most appreciated how thoughtful they were to the Auburn students, showing that the creators of the film valued their audience and weren’t in it simply for profitability. Additionally, the fact that they donated to the arts as well was a fantastic and utterly unexpected gift to the school. I was left with an incredibly humble impression of McCarthy and Falcone in particular, which I think relayed a lot about their personal character. It seemed too like their passion for the film translated- everyone in line was excited despite the Southern heat, which is merciless and very much like moving through a vengeful bowl of clam chowder. When Falcone walked into the theater, everyone was especially abuzz. We were also filmed reciting Auburn chants. If the footage gets out, I’m the one who got every hand gesture and word wrong. Then, it was time to see the movie, which was particularly engaging. Many times, the theater erupted into laughter and once, into shocked gasps at the absolutely wild plot. Packed theater last night for #lifeoftheparty premiere! When the film ended (and you can find my review here), we were ushered into the exclusive afterparty, featuring plenty of great free food and drinks (for those over twenty-one). Like a typical college kid, I grabbed the food I could and headed home to write a research paper due the next morning. Brought back food from the exclusive after party of #lifeoftheparty last night! Wanted so badly to stick around but I had a research paper due the next morning! All in all, this was by far one of the best experiences of my college career. It really kicked off a tough week and gave this girl’s senioritis the boost necessary to finish her last week of college. War damn Eagle!